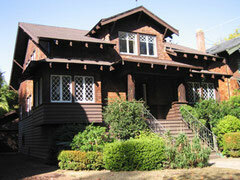 early Women in Architecture in Northern California - womenarchitectss jimdo page! 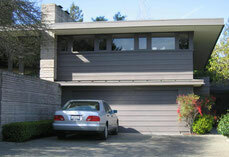 I welcome information about Northern California women in architecture who started their practice before 1950. If you have historical information or photos to share, contact me. My research on women architects was based on two major sources: primary and secondary. Student drawing by Ella Castelhun. Secondary sources are published materials that interpret, analyze, or reflect on primary sources. Most important are publications on women architects written or otherwise produced after 1950. Below are selected secondary-source publications on California women architects. With the emergence of the women's movement in the early 1970s, new interest in women's lives and careers led to publications on women in architecture. In format and scope they ranged from critical articles on contemporary women in the profession such as Ellen Perry Berkeley's "Women in Architecture" in Architectural Forum (September 1972) to monographs such as Doris Cole's From Tipi To Skyscraper: A History of Women in Architecture (Boston, i press, 1973) and to academic papers such as Gwendolyn Wright's dissertation, A Woman's Place Is In the Home: Women and American Domestic Architecture from 1865 to the Present (University of California, Berkeley, 1974). The following list focuses on a selection of books that include women in architecture on the West Coast. More than thirty years ago, the Architectural League of New York sponsored an exhibition and a book, American Women in Architecture: A Historic and Contemporary Perspective, edited by Susana Torre (New York, Watson-Guptill, 1977). This seminal book is the most comprehensive overview on the emergence of women in architecture in the United States and is still used as a reference for information on individual architects of the past. Published also in 1977 was Spiro Kostof's The Architect: Chapters in the History of the Profession (Oxford & New York, Oxford University Press, 1977) with an essay by Gwendolyn Wright, "On the Fringe of the Profession: Women in American Architecture." For the centennial celebration of the admittance of the first woman architect to the American Institute of Architects (AIA) in 1888, the Institute sponsored an exhibit, "That Exceptional One," and a book edited by Ellen Perry Berkeley and Mathilda McQuaid, Architecture: A Place for Women (Washington and London, Smithsonian Institution Press, 1989). Looking at the progress women made in the past 100 years, the essays analyze "what the profession of architecture may mean to women, and what women may mean to the profession." Sarah Allaback's The First American Women Architects (Urbana, IL, University of Illinois Press, 2008) was written as a reference guide for scholars and professionals, high school students, and the general public. It seeks to open understanding and appreciation of the numbers and achievements of early women architects throughout the United States with approximately 75 biographies. 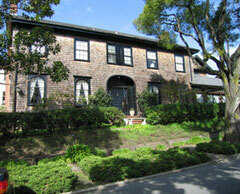 The book includes 9 women architects of the San Francisco Bay Area. It is only a question of time until a recent (2007) dissertation, Building the California Women's Movement - Gender, Space and Architecture in the Life of Julia Morgan, by Karen McNeill appears in book form. which is courtesy of Scott Trimble.